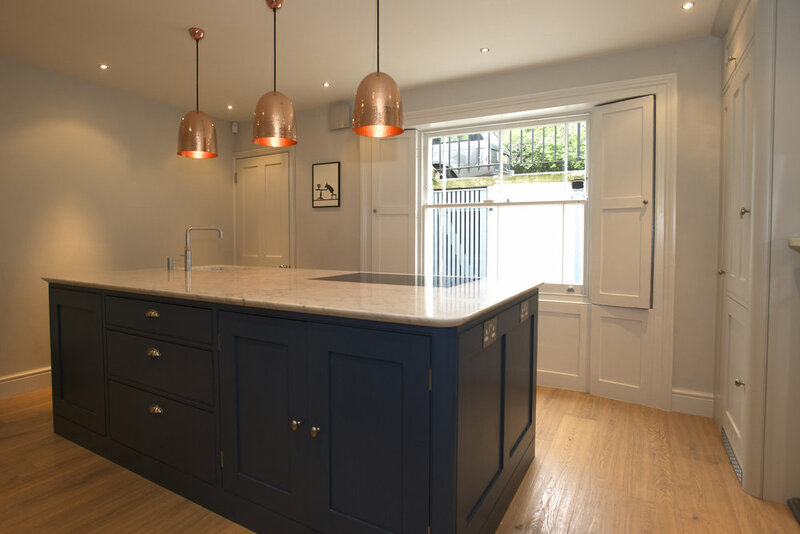 Tim Moss have recently installed a bespoke kitchen in a town house in the beautiful Arlington Square in Islington. Located in the basement, with a listed range that had to remain untouched, the kitchen was designed around a central island. A sleek wine cooler, hob and sink were housed unobtrusively within the island allowing for plenty of storage room. The ovens and fridge freezer fit perfectly into built in housings located in both alcoves. 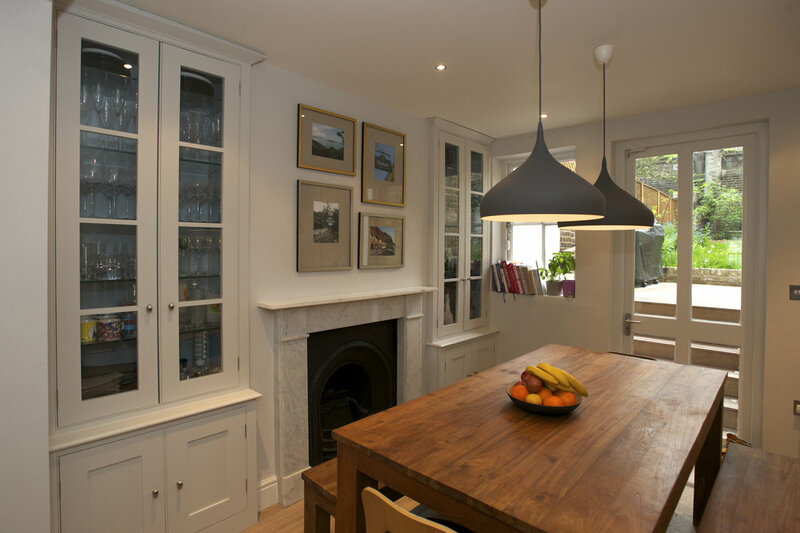 As well as the kitchen, the client asked us to supply the cabinetry in the dining area to bring a unity and harmony to the whole floor.